We are relentless in our vision but flexible on detail – after all no two agencies are the same! 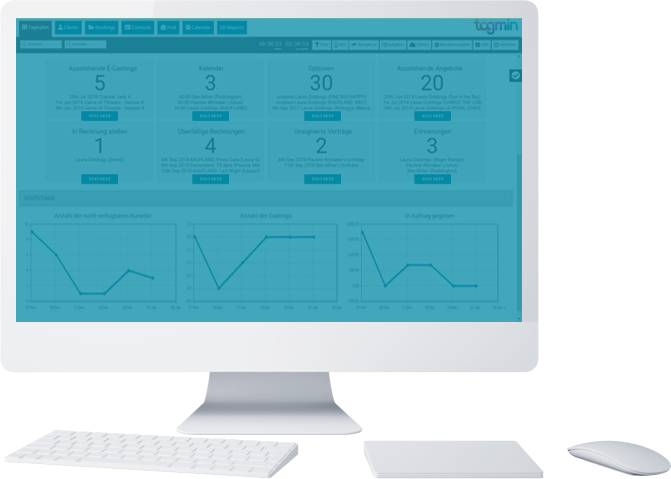 Tagmin is the bespoke software for agents and personal managers - it links your world - your clients and your contacts and the projects that connect them. We believe it's the most cost-effective and complete client management system available - it's comprehensive, yet simple to use, and developed with, and for, agencies of all sizes. In fact, far more agencies use tagmin than any other agent software in the UK – from the smallest to the biggest! Tagmin is an approved partner of Spotlight and is used by agencies across the UK and Europe - as well as in the USA and Australia - and it's also available in German. Those agencies wanting to move from AgentFile to Tagmin this year need to book in the move to us by May 1st 2019 at the latest to ensure we can organise the data swap and training in good time - the final start date for those agencies will be Monday 17th June 2019. To organise your move to tagmin, reserve your slot, or to book in a free demo to see how tagmin can help you, please get in touch. We offer a discount for additional accounts of £52 each, to help minimise the impact as your grow and expand. If you prefer to pay monthly we also offer a monthly payment plan. All prices are quoted excluding VAT. We offer a discount for all additional logins. more than one person at a time. of access across a year. Available addons: Integrated text messaging (£3 /Month) & text bundles; Update your Wordpress website from tagmin (from £52 /Year); Monthly payment plan also available. Your clients can access their calendar via their own free tagmin account - and update you with changes to their availability with ease. 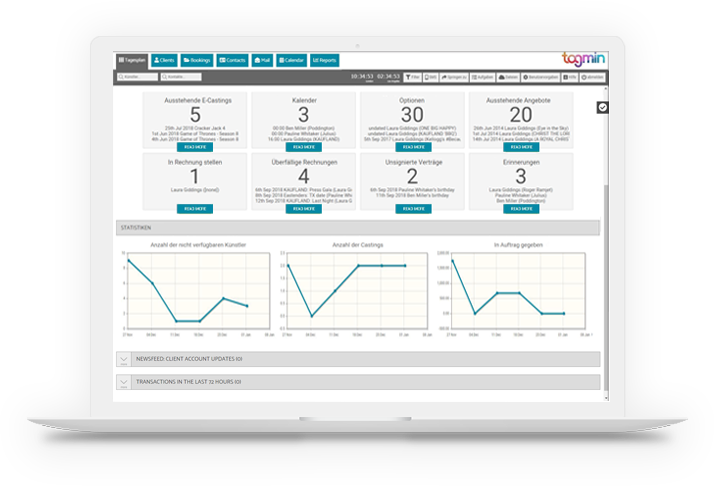 We would be delighted to offer you a demo of tagmin – these take between 35 – 45 mins. You are sent a link so that you can see our screen on yours, and then we talk you through the software live over the phone, conference call or Skype. We are also happy to tell you about other software options – we want you to compare!